Brand new high quality home. 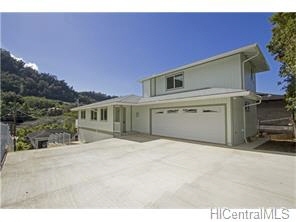 Conveniently located in kalihi valley surrounded beautiful lush mountains and valley. Master bedroom suite on the second floor with ocean view and walk-in closet. Bonus storage area under home. Granite counters in kitchen and bath, new appliance package and staged for private showings. One of a kind opportunity.